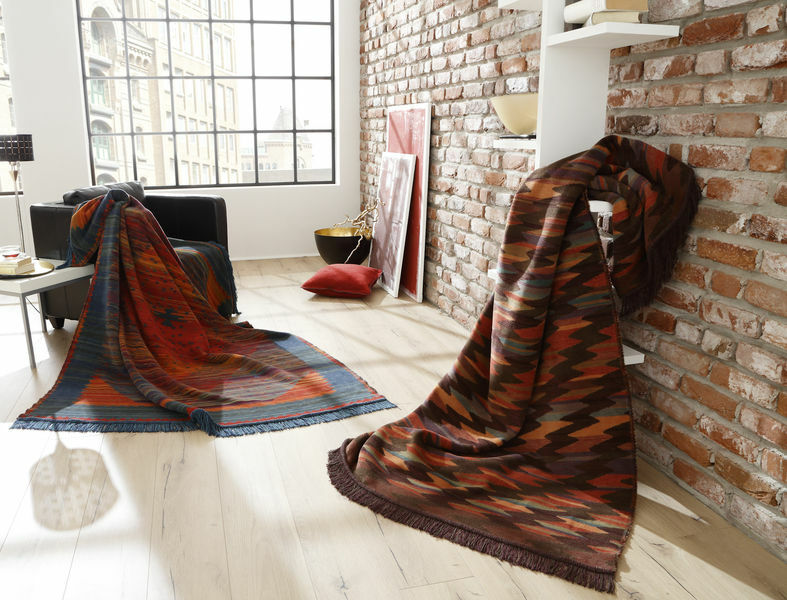 The "Marrakesch" Blanket throw from Germany is a stunning ethnic design with multi coloured tones. The amazingly soft, easy to clean blanket fabric, are perfect for a relaxing time and will look great in your bedroom, study or lounge. Made in Germany, these high quality blankets are a generous 150cm x 200cm size. (60%Cotton/40% Acrylic). They have a Fine Binding to the edge with Fringes.